Uniquely designed incremental block edge improves clearance of dirt and sand for constant performance. 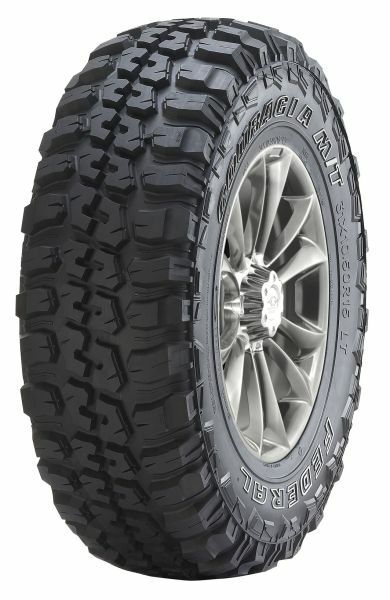 Uniquely designed radius of sub-grooves enhances off-road performance. SRG(Sloped Radius Gradient) block design increases block stiffness, enhances performance, and delivers serious off-road traction. Bar at bottom of groove clears mud and rock particles and provide ultimate off-road traction. Deep shoulder lugs and sophisticated central blocks fulfill the most demanding requirements of off-road grip and steering control when used for on-road applications. Specially formulated advanced tread compound resists cuts, chips and abrasions for long life and even wear.